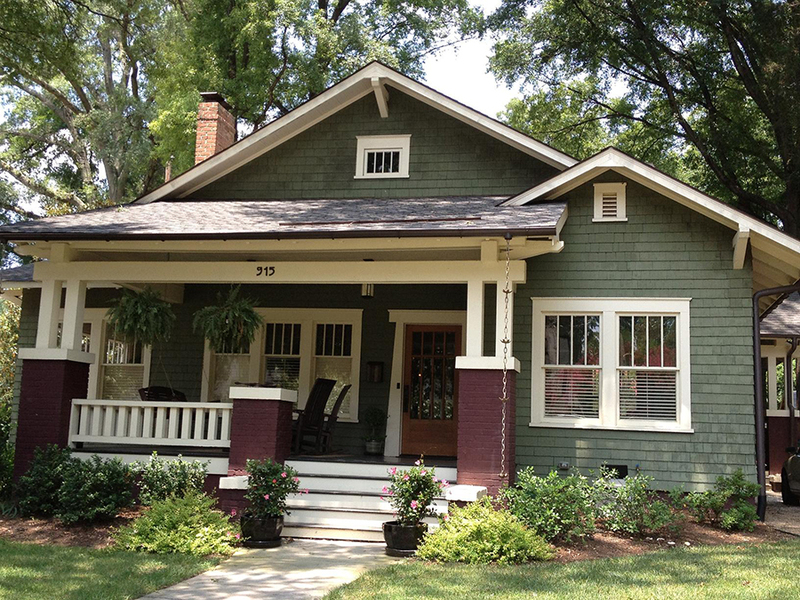 Bungalow style residence Ca. 1926. 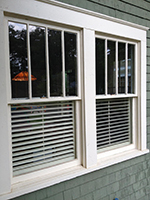 Original wooden double-hung windows and single pane glass. 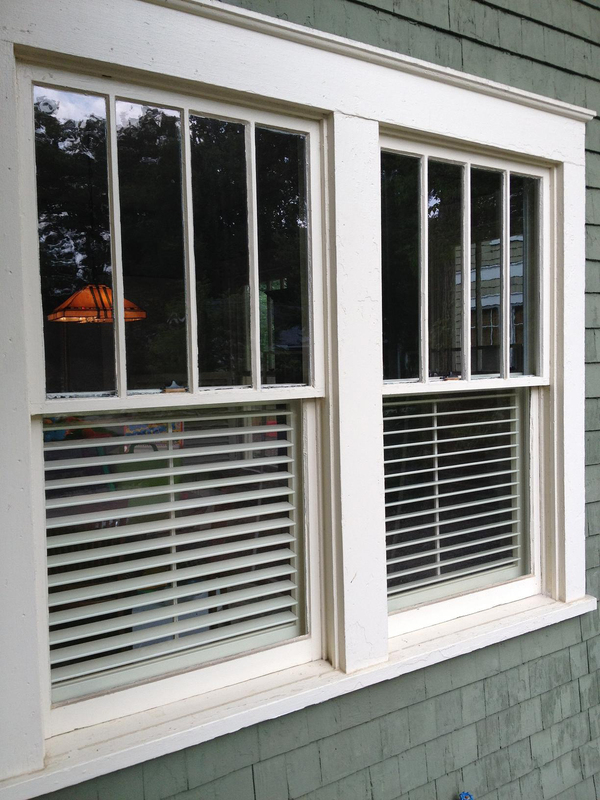 Entire 1st floor windows retrofitted with Cilmate Seal inserts. 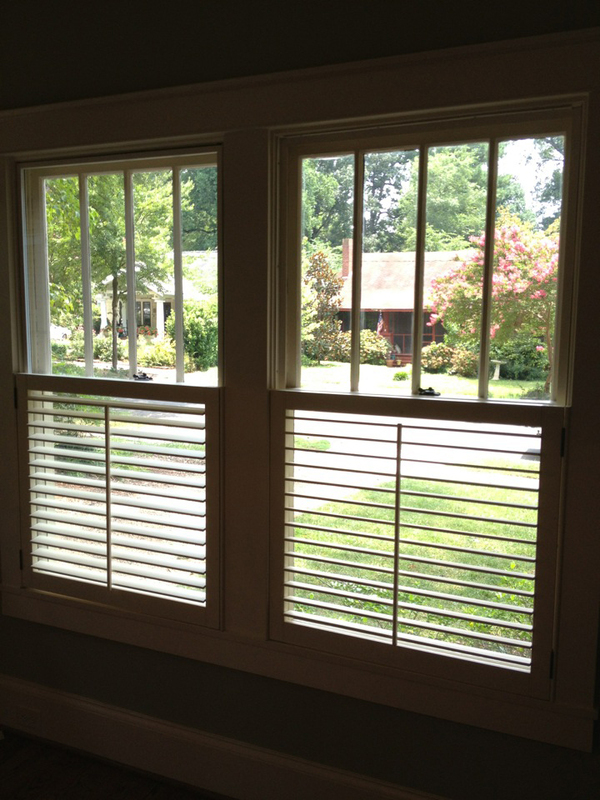 Upon completion, the customer noted a remarkable reduction in exterior sound levels and consistent A/C temperatures throughout. 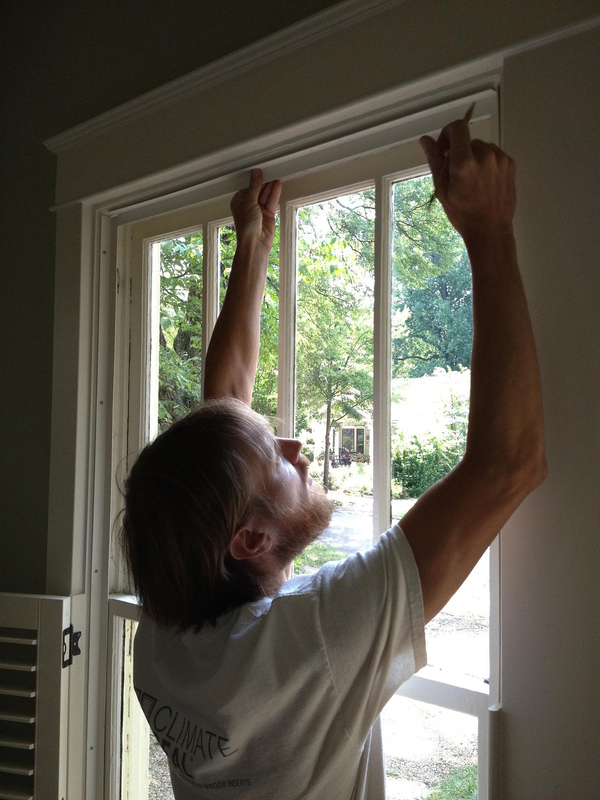 Not only was our inverted angle used due to shallow window cavity, but we also custom painted the angle to match the existing wooden trim. The end result was a perfect color match. Drew Riddle of Riddle Innovations (a Certified Climate Seal Installer) sporting our Climate Seal t-shirt and fitting an inverted angle strip along the window header. We mean it when we say our product is virtually invisible. 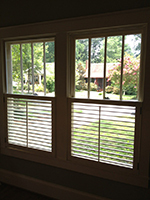 On the left is a fully installed Climate Seal insert. On the right is only the inverted L-angle frame. 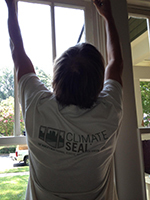 Once both Climate Seal units were installed we took an up-close picture from the exterior to demonstrate the lack of visibility of the product. 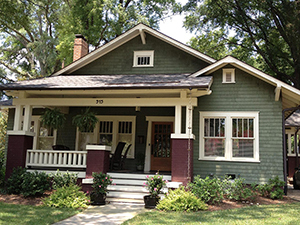 That is why we are an excellent choice for both historical committees and homeowners alike.